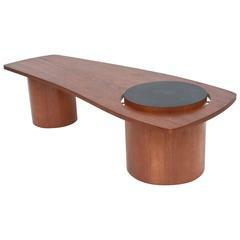 RS-Barcelona Medium Plec Table in Red Metal by A.P.O. RS-Barcelona Large Plec Table in Red Metal by A.P.O. 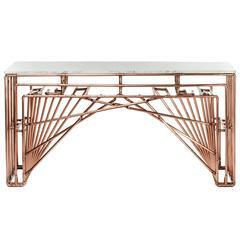 RS-Barcelona Small Plec Table in White Metal by A.P.O. RS-Barcelona Small Plec Table in Black Metal by A.P.O. RS-Barcelona Small Plec Table in Green Metal by A.P.O. RS-Barcelona Small Plec Table in Green Marble by A.P.O. RS-Barcelona Small Plec Table in Red Metal by A.P.O. Plec is a collection of coffee and side tables that are as happy together as they are alone. With their accordion-shaped legs, all three Plec tables (large, medium and small) love creating light and shade effects at any time of day. The Plec table has a steel structure coated with polyester paint. The tabletop comes in steel or marble, with a range of colors available for both options. Sizes, colors and finishes are combinable. The Plec table collection fits perfectly into any setting and space, whether as a coffee table in front of the sofa, as a corner table in a reception area or waiting room, or in the garden surrounded by plants and flowers. Suitable for outdoor use due to a cataphoretic coating process applied to the steel. Also available in other colors on 1stdibs. 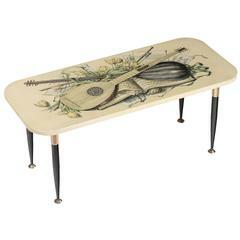 Small table made in lacquered metal and brass. Literature: Fornasetti, curated by B. Fornasetti, vol. 2, La bottega fantastica, Electa 2009. Top in bevel edged extruded aluminium. Anodized top. Stone legs. Measures: 120 D x 240 W x 73.5 H cm. 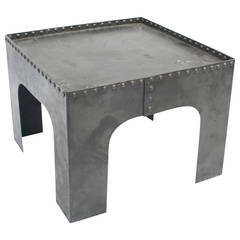 A small square Industrial coffee or side table with rivet decoration.